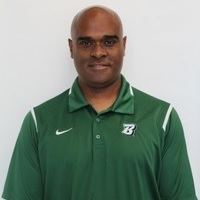 Bhattacharjee (pronounced BAT-uh-CHARGE-ee) was named Binghamton’s head coach on December 30, 2015. For the last seven years, Bhattacharjee has handled the recruiting for a pair of prominent ACC programs at Syracuse (four years) and Boston College (three). Before that, he served three years with Atlantic 10 member George Washington. At Boston College, Bhattacharjee played a key role with an Eagles program that reached the national semifinals in 2010, NCAA Elite Eight in 2009 and Sweet Sixteen in 2011. At BC, he served as recruiting coordinator and goalkeepers coach, helping steer the Eagles to the program’s first-ever College Cup appearance in 2010. One year earlier, BC was ACC co-champion. During his tenure at SU, the Orange made the transition from the BIG EAST to the ACC. His 2014 recruiting class was ranked No. 18 in the country (Top Drawer Soccer). He was also directly involved with on-field team training, opponent scouting, scheduling, budget planning and compliance. He graduated from University of Maryland in 1998 with two degrees – in geography and secondary education-social studies. Bhattacharjee then earned his master’s degree in applied geography at Texas State University in 2000. He has also completed coursework toward a PhD in geography from Arizona State University.